Brentwood’s light air and verdant surroundings, with a grand central location in West Los Angeles, makes for a remarkable neighborhood for luxurious living. Brentwood is located at the base of the Santa Monica Mountains, bounded by the San Diego Freeway on the East, Wilshire Boulevard on the South, the Santa Monica city limits on the Southwest, the border of Topanga State Park on the West and Mulholland Drive along the ridgeline of the mountains towards the North. Nearby neighborhoods and cities include Pacific Palisades on the West, Santa Monica on the South, West Los Angeles on the Southeast, Westwood on the East, and Bel-Air on the Northeast. Brentwood is a captivating neighborhood located in West Los Angeles, brimming with upscale estates, this lovely neighborhood has a lot to offer. For the past three months, the average listing price for a single-family home was $1.6 million, and the average price per square foot was $822. This family oriented neighborhood is in close proximity of other affluent neighborhoods, assuring a constant high-end listing price for single-family homes. The stunning homes in this centrally located neighborhood vary in architectural style. From stunning modern marvels to quaint spanish-style estates, you can find a large selection of elegantly designed homes, facilitating your search for your dream home in this exclusive neighborhood. 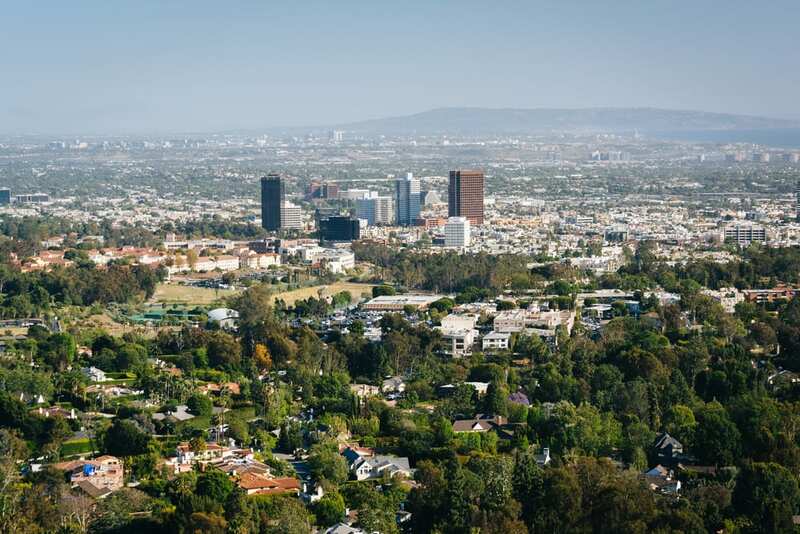 With such a distinct central location, Brentwood makes for the ideal neighborhood for families. The median age for residents in Brentwood is 45 years of age, with 67% of the people being married. This opulent neighborhood boasts an impressive 80% college graduate population. Along with its wonderful location, Brentwood offers various opportunities for residents to lead an active outdoors lifestyle. Backed by a wonderful verdant mountain range to the North, and the powerful Pacific Ocean to the West, Brentwood offers endless outdoor activities, all at a short distance. Brentwood’s location is fundamental to its luxurious ambience. Found at such a close proximity to high-end boutiques, fine dining, and exemplary schools, it is no wonder this neighborhood attracts successful people from a large range of fields of work. From A-list celebrities, to prosperous executives, this neighborhood brims with noteworthy residents. Furthermore, Brentwood’s low crime rates can be attributed to its incredulous safety thanks to the Los Angeles Police Department. Since Brentwood is a relatively large neighborhood it is covered by two police department jurisdictions: the West Los Angeles, and the West Valley precincts. 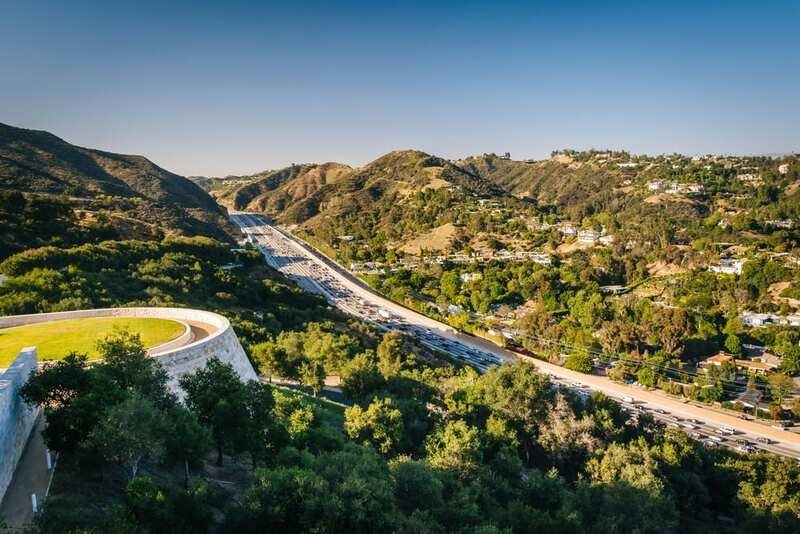 The famous Getty Museum, visible from West Los Angeles, is located on the outer edge of the Mountains in Brentwood by the 405-freeway. This historic museum boasts an impressive array of collections. The fragrant Central Garden, created by Robert Irwin, is a sight that is not to be missed. The Brentwood Country Club offers green putting in their 18-hole, 72 par golf course, tennis courts, and year-round heated pool. In order to join this exclusive country club, three members must propose it to the board, thus maintaining a highly exclusive ambience. The Riviera Country Club boasts a championship golf course and 24 tennis courts, making it one of the oldest and largest tennis clubs in the United States. This legendary country club has been around since the mid 1920s, and continues to bring forth the best service, freshest organic ingredients, and impeccable facilities to its members. Brentwoods ideal location, also makes it easier to access other exclusive country clubs, such as the Jonathan Club, the Beach Club, and the Hillcrest Country Club. Each country club boasts exclusive memberships, fine dining, and modern fitness facilities. To the North, Brentwood is lined by the mountains of Westridge-Canyonback Wilderness Park. These verdant mountains offer beautifully scenic hike trails, and bicycle paths. On the weekends this beautiful park gets quite busy, as many residents and nearby locals take their dog for a hike, or enjoy a workout with a group of family and friends. A mere 4 miles to the West, the Santa Monica Beach makes for a lovely weekend outing. A bit further North of Santa Monica Beach lies Malibu, and to the South is Venice Beach. All these wonderful beaches allow for incredible surfing opportunities. These beaches are all connected through a sidewalk pathway that gives cyclists and rollerbladers the right of way, thus allowing them to enjoy their rides. This makes for a treacherous yet scenic workout. Now that you have decided to live in Brentwood, when family and friends from all over want to come visit there are some enjoyable hotel options for them. The Brentwood Inn, situated on Sunset Boulevard, offers 21 intimate rooms. This boutique inn is a mere 10 minute walk to Brentwood village and an 8 minute drive from the famous Getty Museum. The Luxe Sunset Boulevard Hotel is located on a serene mountain edge. With beautiful scenic views of Los Angeles, this hotel offers a lovely high-end French infused with Californian flavors restaurant. This lovely neighborhood, is a tranquil residential area that offers plenty of fine dining areas along San Vicente Blvd. The famous Brentwood Country Mart offers an impressive list of locally sourced and delicious dining options. Amongst them is the delicious Farmshop, a farm-to-table oriented restaurant that brings the very best in a variety of interesting dishes. The famous dessert shop, Sweet Rose Creamery, which offers organic homemade ice cream and cakes, should not be missed. The Pecorino Restaurant and Lounge serves high-end Italian cuisine in an earthy, brick-walled local, with an impressive wine list. Brentwood Village, located at intersection of Barrington and Sunset Blvd, this two-block area bustles with enchanting restaurants, and local coffee shops. Brentwood’s calming ambience offers plenty of dining venues, and a select high end lounges. With its close proximity to Santa Monica, you are just a 10 minute drive from a variety of lounges and rooftop bars with scenic views within ear shot of the ocean’s crashing waves. The Brentwood Restaurant and Lounge is a neighborhood gem that offers an exclusive ambience with its dim lighting, plush seating, and wonderful menu with an extensive cocktails and wine list. It is the perfect place to head to after work to wind down or to catch up with friends. The Brentwood Country Mart is home to an assortment of boutiques that specialize in jewelry, chic clothing, and house decor. This chic center is outdoors, making for the perfect shopping outing as you enjoy Los Angeles perfect sunny weather. Brentwood Village offers interesting boutiques that specialize in high fashion accessories, clothing, and shoes. Expanding over a two block range, Brentwood Village allows shoppers to also relax in between stores at a variety of strong coffee shops. Take a stroll through the bright San Vicente Boulevard, and you will find a variety of exclusive larger brands, such as Lululemon, Ron Herman, and Rag & bone to name a few.